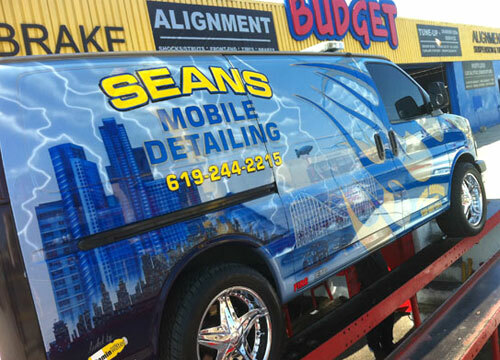 For over 70 years, Budget Muffler Brake & Automotive has been the go-to shop for San Diego businesses that manage commercial fleets of cars. Our clients prefer us for their automotive repair and maintenance services because we provide expert, reliable work with excellent customer care at highly competitive rates. With technicians that are ASE certified and have an average of 20 years of experience, we have the expertise and skill to work on all makes and models of vehicles, whether new or used, domestic or imported. We also welcome luxury vehicles, high-performance sports cars, classics, and commercial trucks (up to five tons). Additionally, since we have one of the largest inventories of mufflers, catalytic converters, and other stock, OEM, and high-performance car parts, we have the ability to provide many of our car services at significantly lower prices than other San Diego auto repair shops and usually complete our services within a faster turnaround time. Whether you own a roofing company, plumbing company, tree service, or dealership, you'll enjoy a number of benefits when you work with Budget Muffler Brake & Automotive: You get long-lasting, quality repairs; honest recommendations; and great everyday rates. We'll even provide discounts for multi-vehicle accounts, keep track of the maintenance history for each of your cars, and create customized maintenance schedules. Plus, by simply catching problems before they get bigger and more expensive, you'll save money and improve driver safety. Call or drop off your commercial vehicles today for complete automotive fleet support. We're centrally located in San Diego and welcome clients throughout Chula Vista, National City, Lemon Grove, El Cajon, La Mesa, Kensington, North Park, and Talmadge. We offer free engine light checks, can prep your cars for smog, and more. Budget Muffler Brake & Automotive is a member of the National Tire Dealers and Retreaders Association (NTDRA); associated with the San Diego Chamber of Commerce and Specialty Equipment Market Association (SEMA); and licensed and insured.